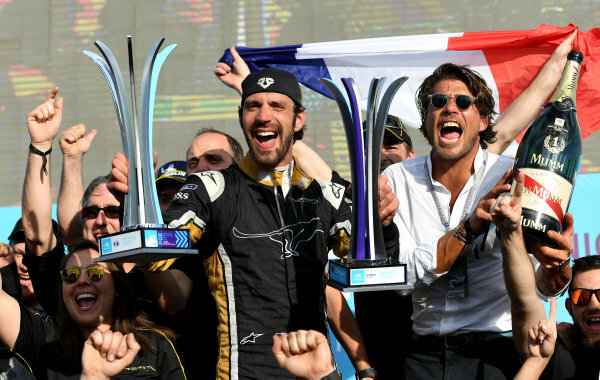 Jean-Eric Vergne (FRA), TECHEETAH, Renault Z.E. 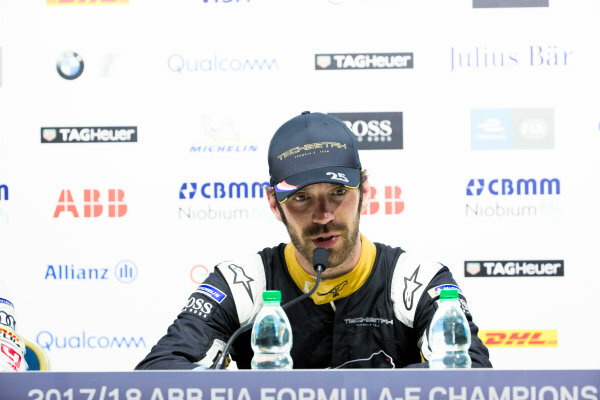 17, in the post-race press conference with Lucas Di Grassi (BRA), Audi Sport ABT Schaeffler, Audi e-tron FE04, and Sam Bird (GBR), DS Virgin Racing, DS Virgin DSV-03. 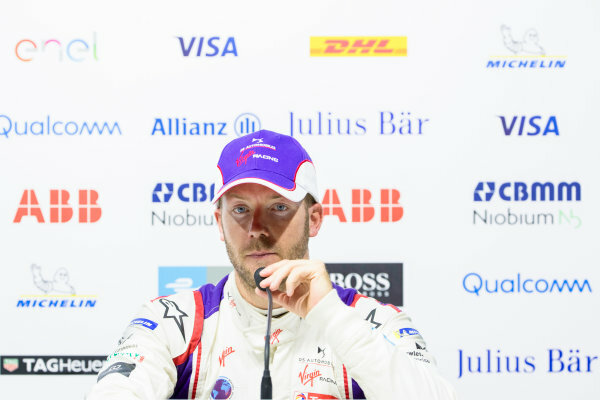 Sam Bird (GBR), DS Virgin Racing, DS Virgin DSV-03, in the press conference. 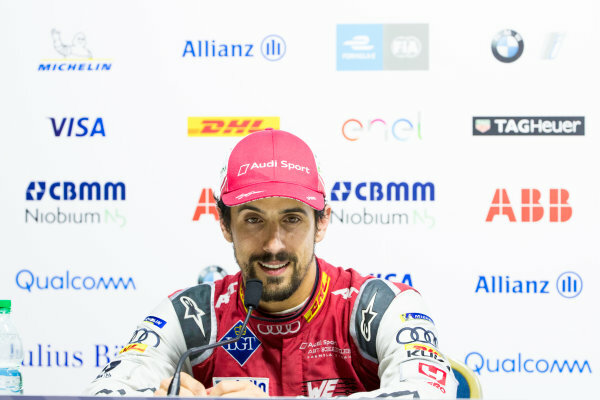 Lucas Di Grassi (BRA), Audi Sport ABT Schaeffler, Audi e-tron FE04, in the press conference. 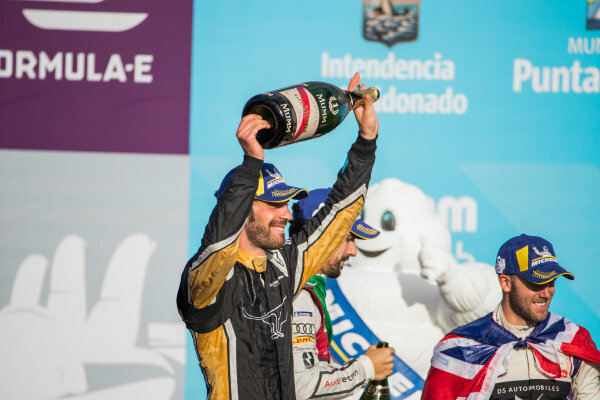 Jean-Eric Vergne (FRA), TECHEETAH, Renault Z.E. 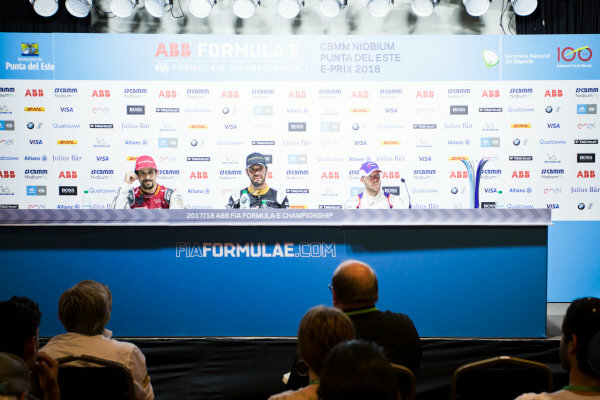 17, in the press conference. 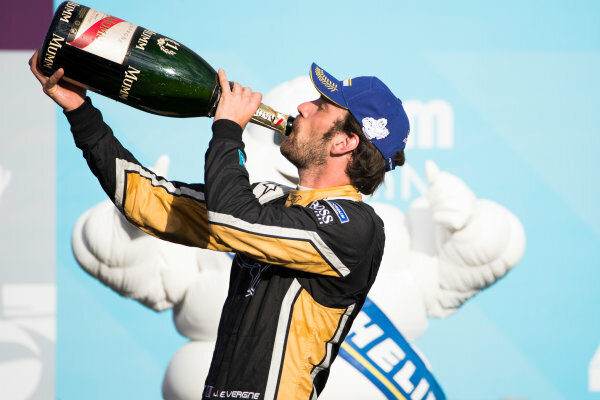 Jean-Eric Vergne (FRA), TECHEETAH, Renault Z.E. 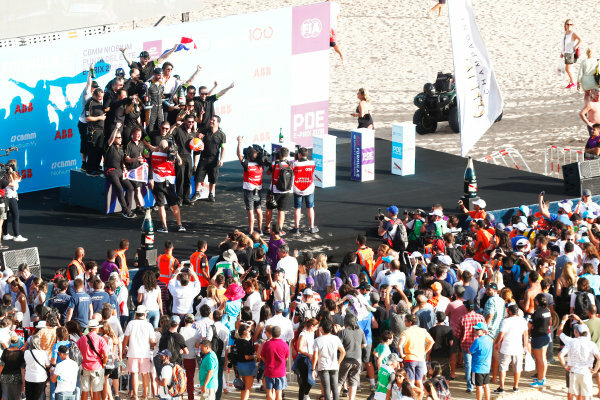 17, celebrates on the podium with his team. 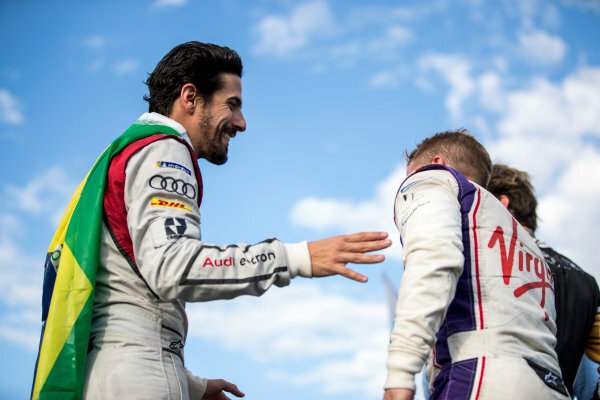 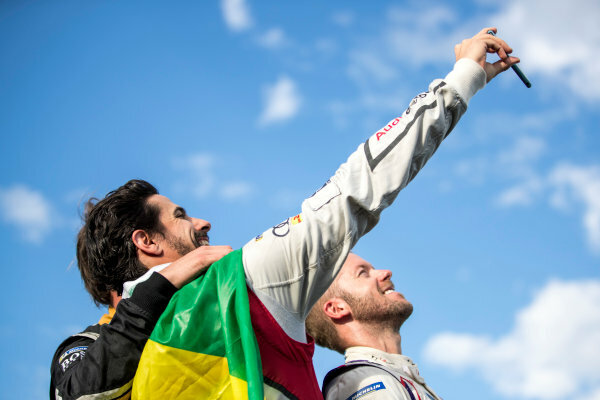 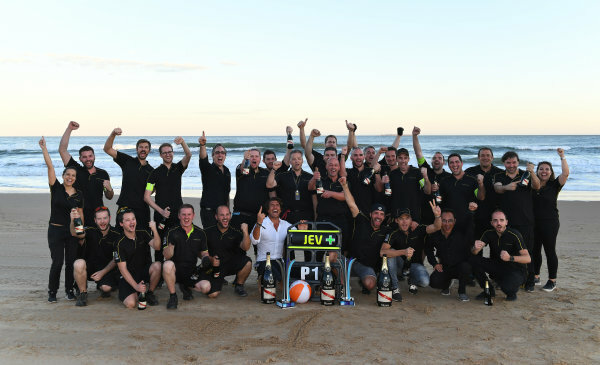 Lucas Di Grassi (BRA), Audi Sport ABT Schaeffler, Audi e-tron FE04, and Sam Bird (GBR), DS Virgin Racing, DS Virgin DSV-03, celebrate on the podium. 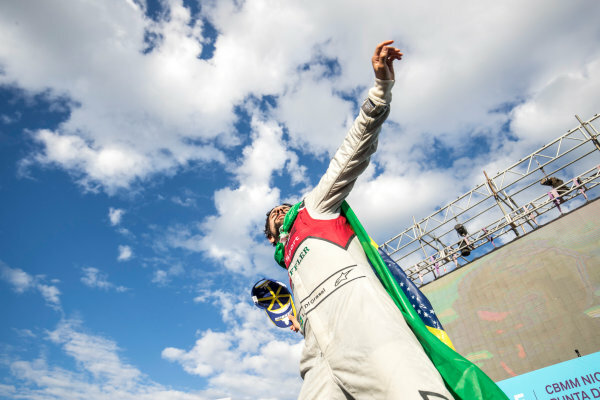 Lucas Di Grassi (BRA), Audi Sport ABT Schaeffler, Audi e-tron FE04, celebrates on the podium. 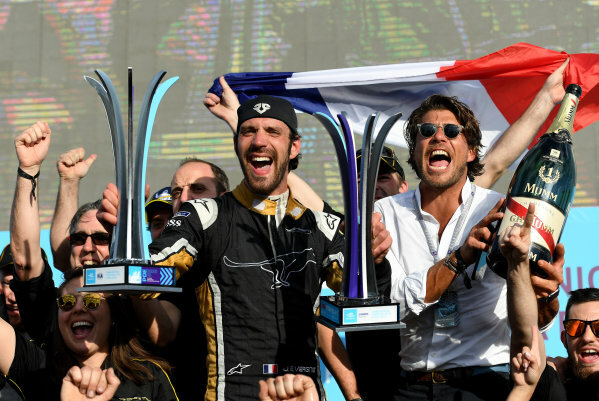 Jean-Eric Vergne (FRA), TECHEETAH, Renault Z.E. 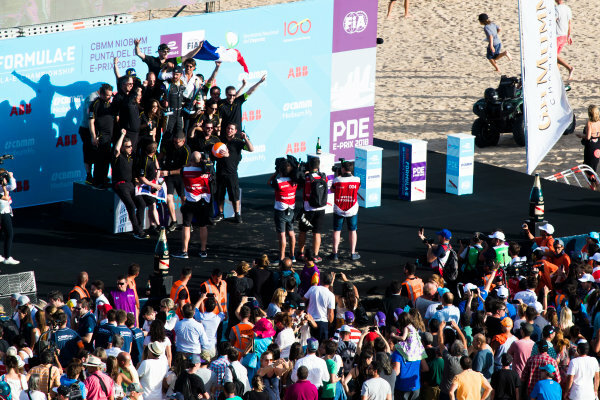 17, celebrates on the podium. 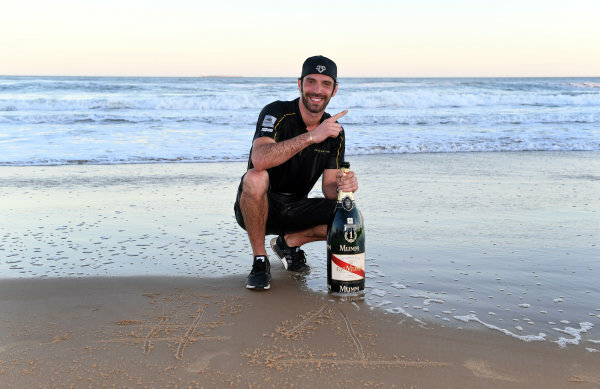 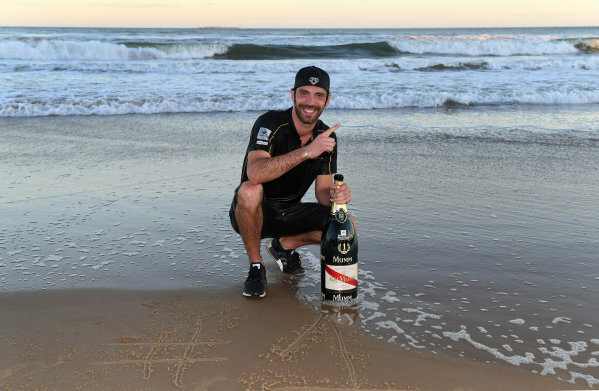 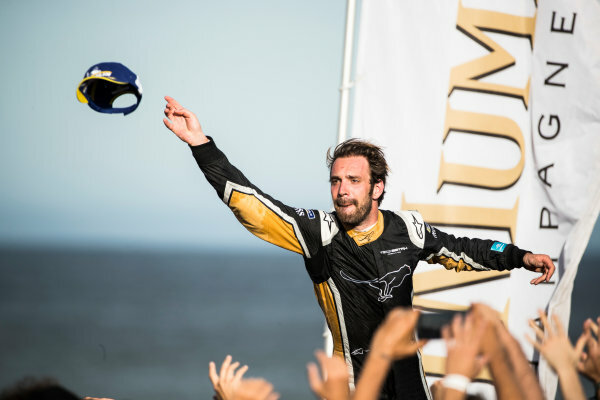 Jean-Eric Vergne (FRA), TECHEETAH, Renault Z.E. 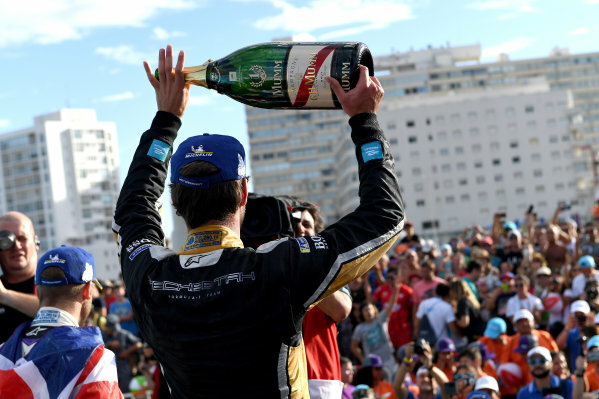 17, sprays the champagne on the podium.